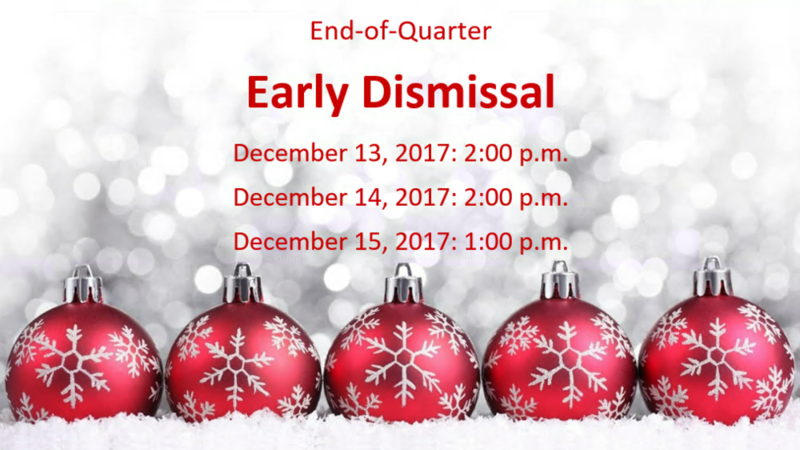 Barton Lexa School District will dismiss at 2:00 on Wednesday, December 13th, and Thursday, December 14th. Classes will dismiss at 1:00 on Friday, December 15th. Classes will resume on Wednesday, January 3, 2018.